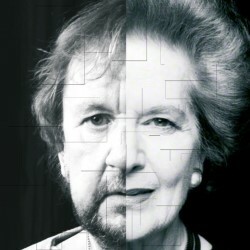 If you go to see Pip Utton playing Margaret Thatcher looking for a flawless impersonation you will be disappointed. Pip looks nothing like Maggie even with a wig and make-up! He has the voice close though and the combative and imperious manner down to a T.
Here’s the really strange thing though: after a while the audience starts to buy-in to the whole thing. They want to ask Maggie questions and even get quite heated about reliving past political battles. At the performance I attended we had questions about the sinking of the Belgrano, the miners strike and the effect on her of the Brighton bombing (I actually asked that one!). Pip was amazing showing that he had done loads of research and was able to answer in character everything that was thrown at him. Even more impressively when asked about present issues such as her views on Corbyn’s bid for the Labour leadership the answer given seemed to be in tune with what Maggie was likely to have said. Predictably given how divisive Thatcher was the audience seemed to align themselves along political lines but you could sense that all understood that agree or disagree with her that her stance was clear. There was also a conceit of the actor playing Maggie being the Son of a miner which was interesting but not really necessary. The principal enjoyment was centred on listening to Pip perform a speech as Maggie at the start (which was very well done) and the question and answer session with the audience. It was funny, informative, strange and hugely entertaining.